AnyPic JPG to PDF Converter is a free and easy-to-use program, which allows you to batch convert an unlimited number of JPG images to PDF files with a few mouse clicks. It supports not only JPG image format, but also dozens of commonly used image formats. 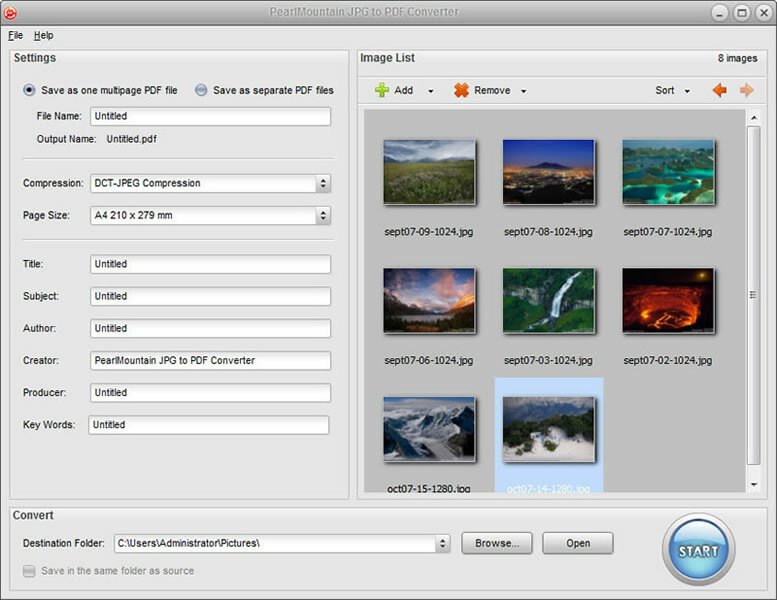 With AnyPic JPG to PDF Converter you can easily combine multiple JPG images into one PDF file or convert each JPG file into a separate PDF file. This software offers a solution for users who want to convert multiple DjVu to EPUB files. The user chooses the files or an entire folder to be processed before starting the conversion.